A week and a half ago my beautiful sister and her handsome fiance had an amazing wedding on a gorgeous sunny day. 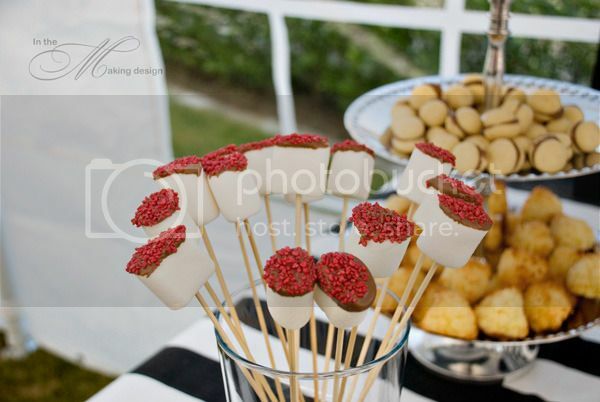 The reception for the couple's parents and siblings was held in our garden and it was a homemade affair from start to finish. 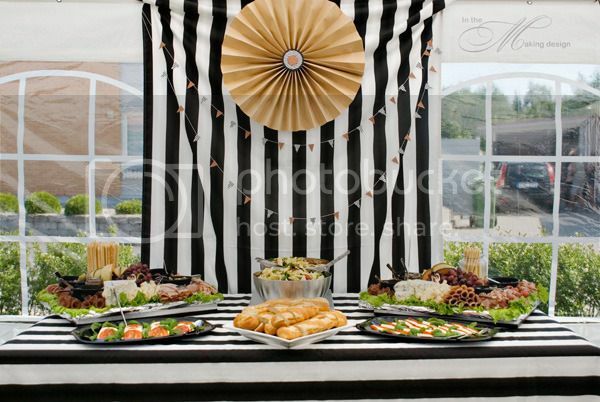 My obsession of making things pretty coupled with the fact that I would do anything for my family meant that I was able to talk them into letting me make the invitations, the table setting, the buffet decorations, the guest book set up, a photo booth of sorts, and baking for the dessert buffet. I also took photographs. Go right ahead and call me crazy! LOL! I would love to share with you some shots of the details that I made. 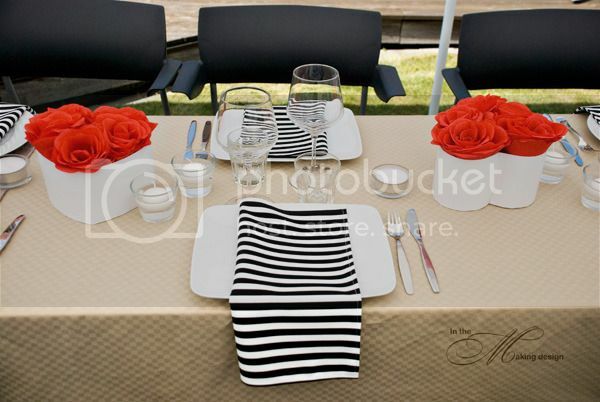 So the idea was to do a kind of modern whimsy in kraft, red and black & white, and with stripes and roses in the center of the whole theme. 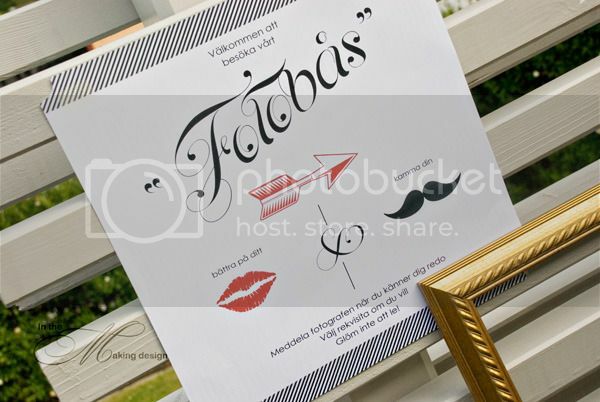 The invitations were printed on kraft in keeping with the theme. A mistake on my part in the printing process meant that I had to improvise and do a raised strip for the text. It ended up being a unique feature. 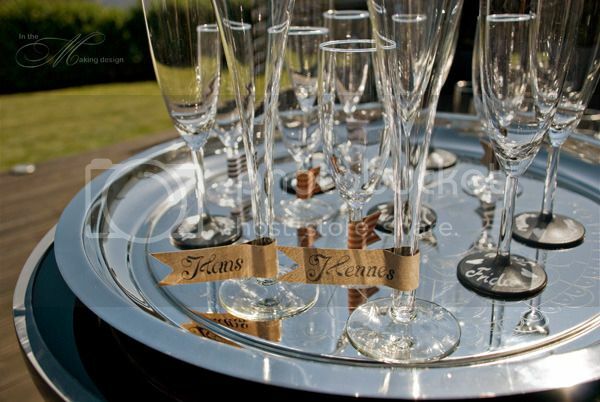 For the welcome toast I did hand texted his and hers tags for the champagne flutes. 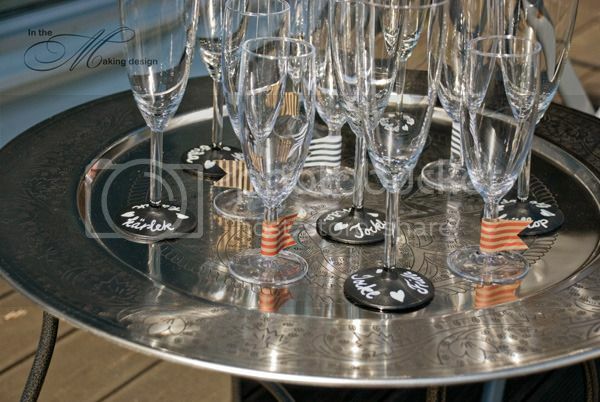 The guests' glasses were either decorated with paper flags or dipped in chalkboard paint and decorated with the couple's names and love words. The tables were covered with tan linen, the middle part of the table where the bride and groom were seated, was a beautiful embroidered table cloth. 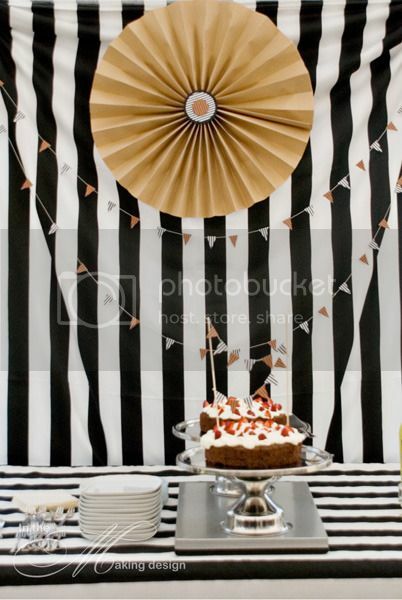 This was matched with all white china, and black and white striped napkins (which the bride and I made). In the ceiling of the pavillion we strung twinkle lights and solar panel lanterns. 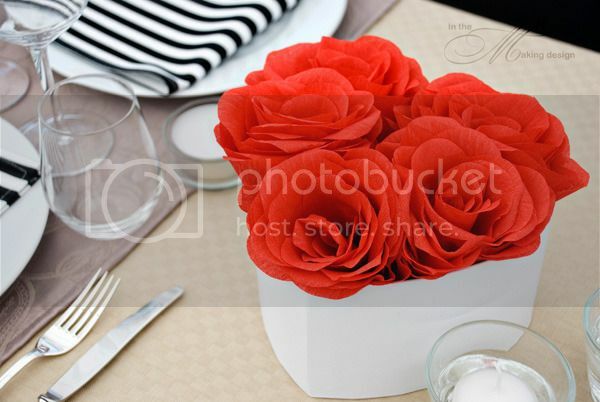 Instead of using real flowers I made crepe paper roses that were put in heart shaped boxes all along the table. Those babies were so very pretty but with eight boxes and six roses in each I worked for a month to get those finished and was pretty fed up at the end. 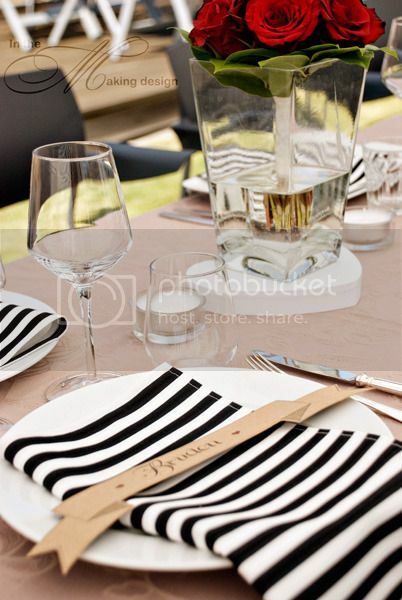 The bride and groom wanted a relaxed feel to the reception and opted to not have a seating plan. Still, I made hand texted banners for the two of them to make sure seats were saved right in the middle of the table where the bride's bouquet was also placed. 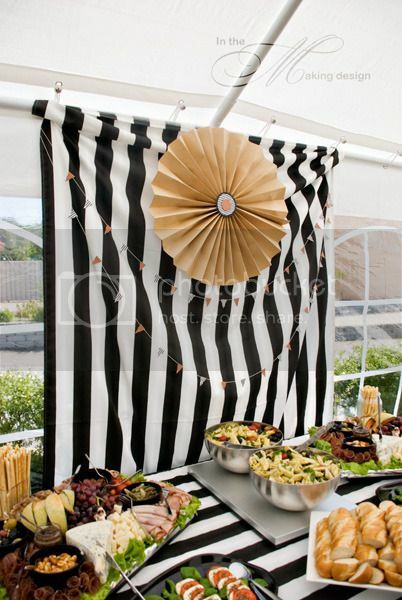 The Italian style buffet was placed inside the pavillion and decorated with black and white striped linen, tiny bunting in kraft, red and black & white, and a kraft paper pinwheel flower. 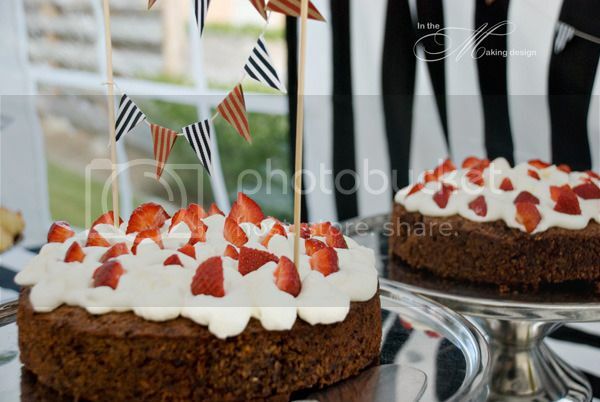 The couple asked for a non traditional cake and we opted for the most delicious chocolate and hazelnut cake with vanilla cream and strawberries. 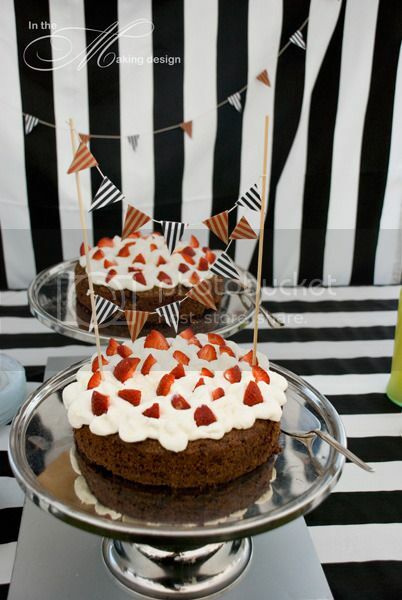 The cake was decorated with mini bunting. 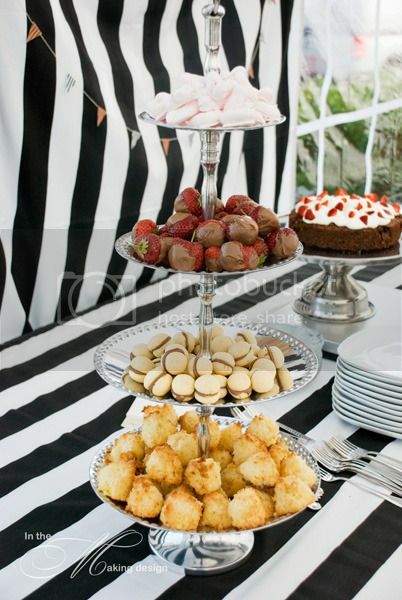 To accompany the cake I also baked Pina Colada cookies, Baci (Italian almond kisses), heartshaped mini meringues, and then also dipped strawberries and marshmallows in chocolate. 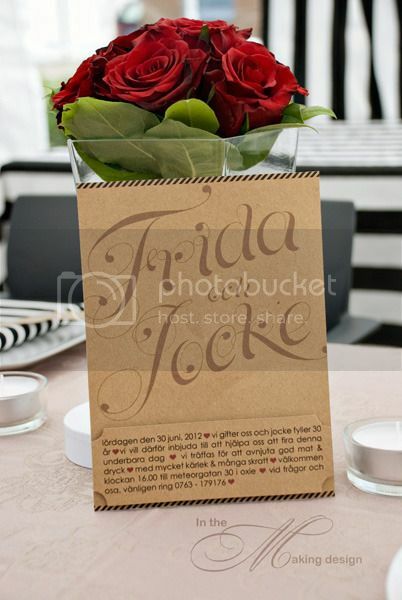 Instead of a traditional guest book we set up a small station on the gift table where the guests could write a message on small tags in kraft bags. The messages will be placed in the wedding album once I finish it. 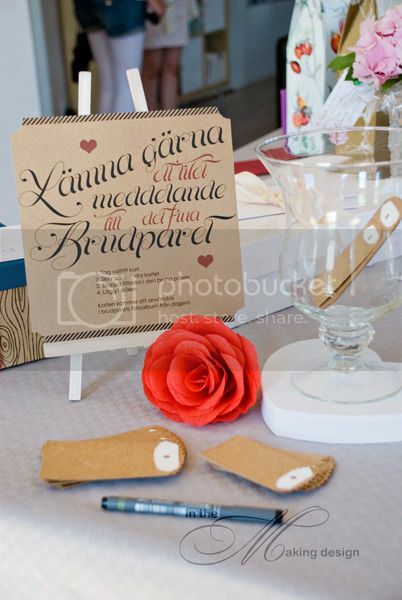 To guide the guests through the process I made a sign that matched the invitations and added one of the paper roses as decoration. To add some more fun we decided to do a photo booth where the guests could let loose and goof out. This was a huge hit and we had so many laughs. 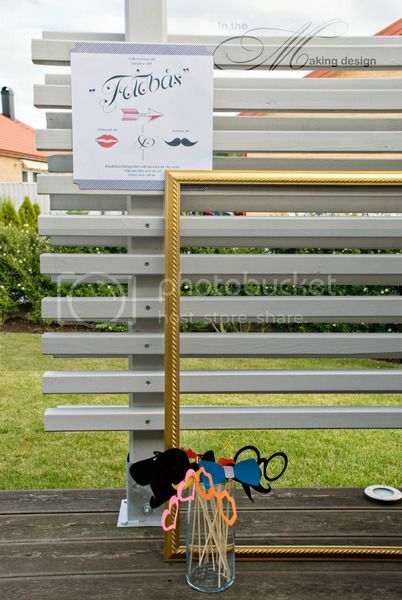 The station was set up on our deck right next to the pavillion with a golden picture frame, some fun props, and another sign to guide the guests through. Here is a shot of the husband and I just to show you some of the silly antics everyone was up to. If you want to take a look at the beautiful couple, you can do so here. Oh Linda! You are so talented ... and sacrificial, too, to do all that for your sister! Love it all! Thank you Tammy! 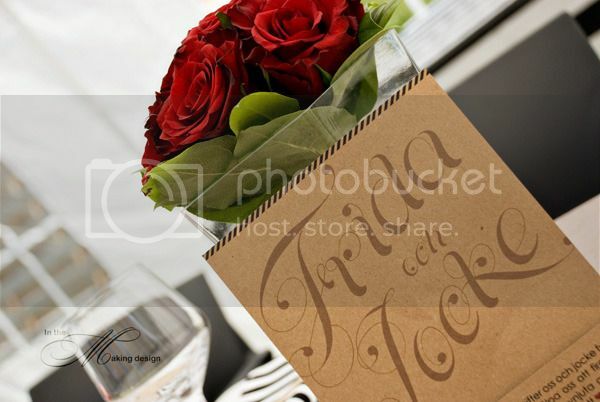 It was a joy to be able to help them make their day a wonderful one. OMG, Linda this is sooo beautiful. :) Thank you so much Susan! You are so kind. OMG Linda. Everything is absolutely AMAZING!!! Amazing is actually an understatement. Your sister and her husband must have been so pleased! WOW!! WOW, thank you Barbara for your lovely comments! :) It is very much appreciated. It looks amazing ! 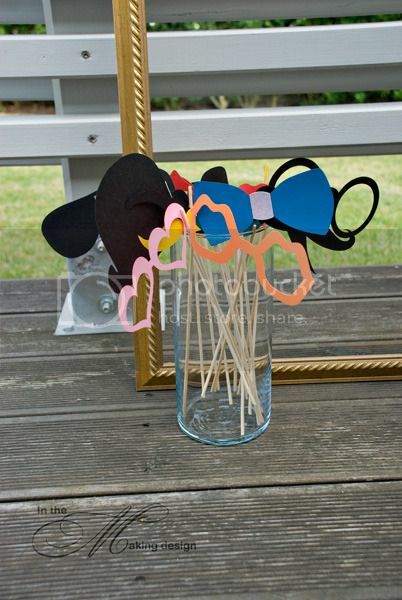 Love the photo booth idea. It must be so much fun doing and looking back at them. 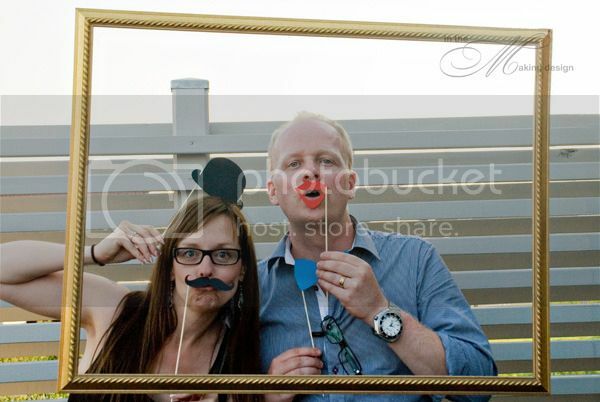 Oh, the photo booth was a hoot! 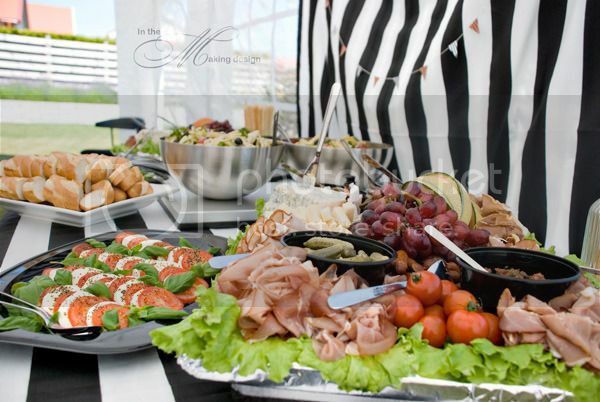 It's perfect for any kind of party, for sure. Get out! Are you getting married? 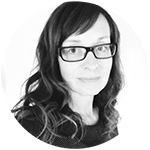 Congratulations, Antonia! That is fabulous! 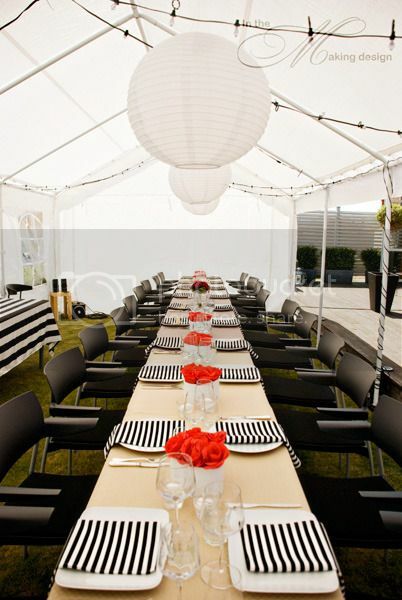 LOL, that would be fun, I would love to do event planning full time if I could. Wow darling. You are amazing. Part of me isn't surprised because I've always known how talented you are and have watched you just expand in the last 11 years. Absolutely breathtaking and I'm sure your sister was overjoyed. I should have found a way to get you here to help me. I could have used your beautiful vision. And hell it's been to long since I last hugged you!!! Oh thank you so much my love! You know how much I wished that we were closer, not only for your wedding of course. I would have loved so much to be able to be part of your wedding - in any way! It has been far too long. So let's fix that and get you on a plane! I'll throw you a party when you arrive! Hee! You really outdid yourself on this one! Really, really lovely! And your hard work on those paper roses was worth it...gorgeous! The roses are indeed gorgeous. It's a shame they take so long to make, LOL!